Social media has connected the world in a unprecedented fashion; one simple search can provide an alarming level of detail concerning the lives of just about anyone you may encounter, but with this added connectivity comes a plethora of issues. 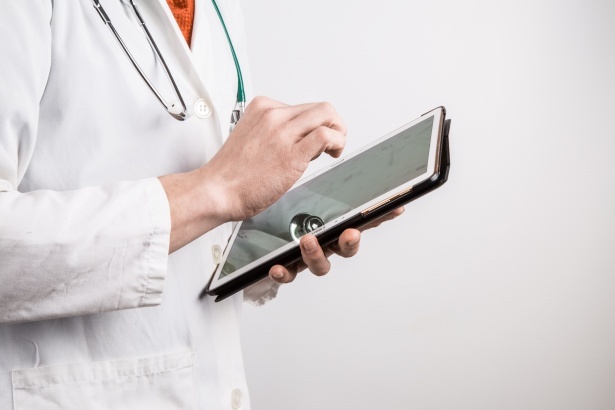 For doctors, "the availability of social media means [they] are more accessible to patients who want more than a professional relationship", according to the UK's Medical Defence Union (MDU). The MDU states that unwanted advances made via social media can leave doctors feeling particularly uneasy, and in some cases can progress as far as stalking or harassment. In order to counteract this, the MDU's medico-legal adviser, Dr Beverly Ward, has recently published advice for doctors on how to deal with such situations. She writes that, "If [these advances] are not nipped in the bud, or even unwittingly encouraged, things can get out of hand." One such case where matters certainly got out of hand involved Dr Eleanor Aston, who called for the maximum sentence for stalking offences to be increased from five to ten years after being stalked by a former patient, pensioner Raymond Knight, for seven years. She told ITV that the ordeal had left her "paranoid, nervous, anxious, jittery, always looking over my shoulder." Dr Aston's case perfectly highlights the need for doctors to show caution when communicating with patients, but even with all the care in the world you can't always predict how other people will behave. To this end, much of the given advice focuses on dealing with an amorous patient once inappropriate conduct has commenced. The MDU states that some patients will create a form of 'fantasy relationship' of which the doctors in unaware. According to Dr Ward, "Some patients can be very distressed if they feel their advances are being ignored or rejected, and their behaviour can become aggressive or vindictive." This latter point, the MDU says, has led to many cases of doctors referred to the GMC by patients alleging a fabricated sexual relationship, or even complaints to the police of sexual assault; such accusations can be career ending for the doctor in question. To avoid such scenarios, doctors are advised to do their utmost to maintain professional boundaries with patients, and to tell the patient as such directly if they have reason to believe that a more personal relationship is desired; they must make it clear that such behaviour is inappropriate and must stop. Failing that, if the professional relationship has broken down to a point whereby it can no longer be recovered, the patient may need to be transferred to the care of a colleague. The reasoning for this decision must be explained clearly to the patient, and all contact should be logged. Contact the MDU for advice as soon as you become aware of a potential difficulty with a patient. If you continue to care for the patient, it is advisable to use a chaperone for all consultations. Don't use personal email addresses or mobile numbers for work purposes, review your social media privacy settings, and withhold your number if you have to use a personal phone to contact a patient. Consider reporting the patient to the police if you feel threatened or in danger.